Canada’s own queen of Americana, Lynne Hanson, is known for her hard-living style of music, mixing gritty ballads with driving roots-tinged guitar and drawing comparison to Lucinda Williams and Mary Gauthier, with a touch of Gillian Welch thrown into the mix. Touring the US, mainland Europe and the UK extensively, Lynne Hanson has also showcased in Austin TX and Memphis, TN. Her latest album is the Scott Nolan produced “Uneven Ground”. 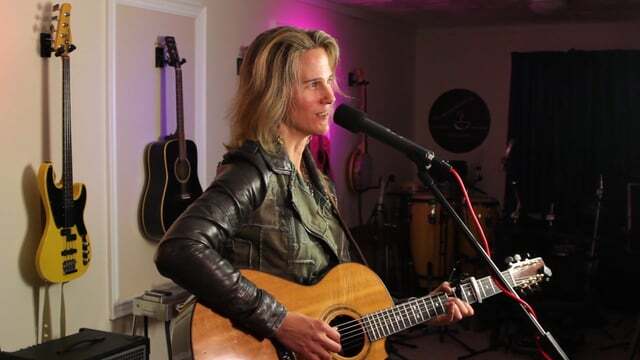 Lynne Hanson joined us in the Quantum Sound Productions studio in Kingsville Ontario to record an edition of the Sun Parlour Coffee House Sessions.